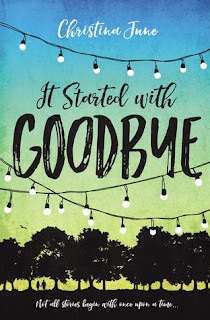 It Started with Goodbye is a modern Cinderella story that allows you to walk side by side with sixteen year old Tatum, the main character, as she goes on an emotional journey of self-discovery. 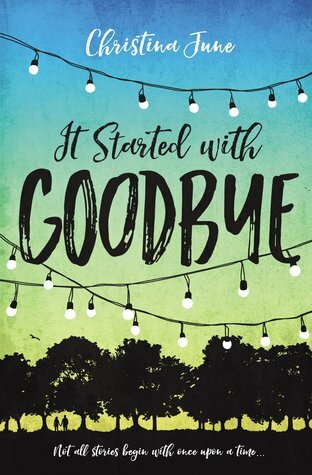 Though Tatum doesn’t go around the world, her journey takes place right in her hometown; specifically her room, the house she goes to babysit, and her laptop. With continuing conflicts between her, the “step monster”, and her uptight distant stepsister, Tatum feels like an outcast in her own home besides the unbreakable love she has for her father. Unfortunately, Tatum is accused of a crime she did not commit and breaks the already shaky trust she had from her step mother and make her father wary of her judgment. 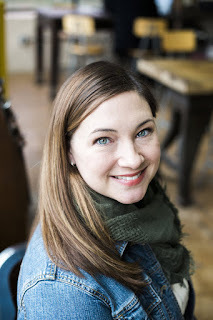 She finds comfort in her art and a charming client of her design business. Thus begins the new chapter of Tatum’s life that will teach her the value of trust, love, and forgiveness. I was surprised to see that even though the book is a ‘modern cinderella’ story, Tatum is a remarkably relatable character. Her choices, concerns, and goals are true to a teens in this generation. I believe the author was trying to convey the importance of trust, love, and forgiveness. She did an amazing job at writing about those things without overdoing it to the point where it’s unrealistic. I laughed, felt second hand embarrassment (along with Tate), and teared up a little on scenes that really made you feel the value in the relationships Tatum has. I loved the diversity in the book; whether it was through the fact that Tatum was a graphic designer or that her step mothers side was from Chile, it really gave the book character and uniqueness. One thing that I loved and admired of the book is that I found no foul language. Not even once. The author gave the characters distinct personalities and also made you feel without the use of curse words. It’s something that not many YA authors do. Props to her for doing that. This is a book is a quick read. I recommend it to teens who need a pick-me-up or those who simply enjoy a book with a good moral. The book was really sweet in my opinion. It portrayed a lot of what teens might be going through now in their lives. So, go ahead and give it a try, it’s worth the read. Simply because it’s a book I would read once and remember and not necessarily read again, I’d give it a 4 out of 5.